It’s time to put up hay on the Stevenson farm, which got me wondering how did 18th century farmers, like George Washington, cut and store their hay without tractors and balers? 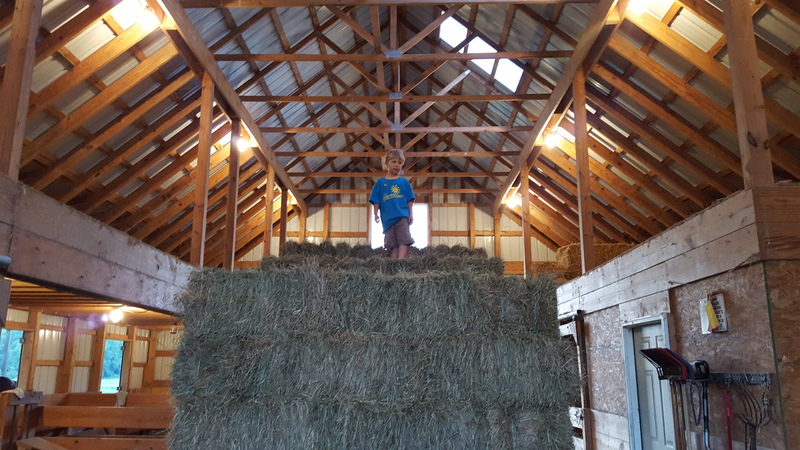 While throwing hay bales up in a loft is hard work, it’s easy to forget the convenience of modern day farm equipment. 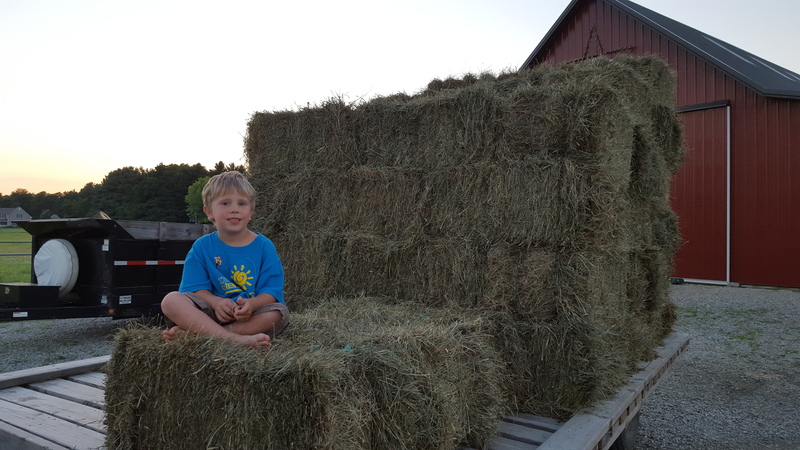 Our hay shows up at the farm nicely stacked on a flatbed trailer. 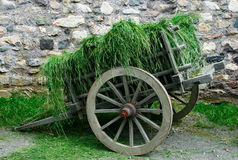 Washington’s hay had to be cut by hand with a scythe and then loaded loosely into wagons. Compacted into bales held together by twine, our hay fits nicely in a hayloft. 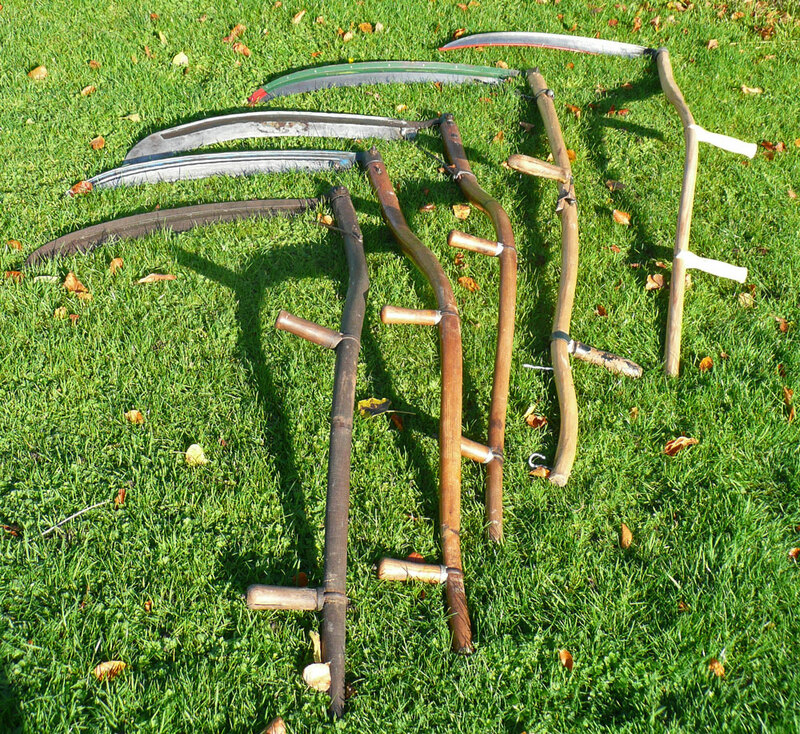 Washington’s hay would have just been piled up in hay mows or hay ricks. 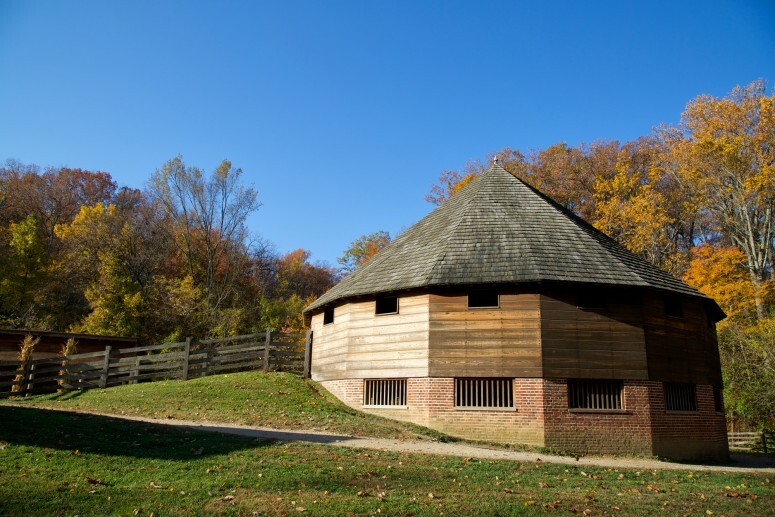 It took bigger barns to store Washington’s hay, some of these barns were round and used for wheat threshing as well as hay storage. 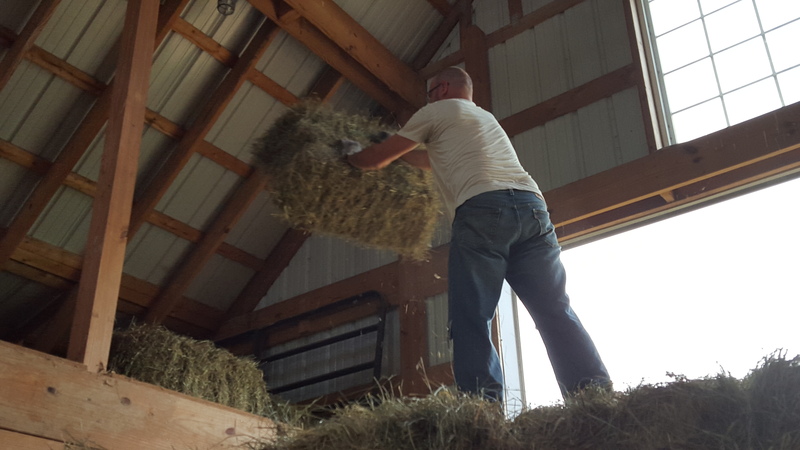 Putting up hay is hard, but much easier and more efficient than it was two-hundred years ago. At least this is what I tell my boys when they complain about stacking hay up in our loft!